Timothy Olstad makes his way to the stage to try to wow the judges with his rendition of Christina Perri's "A Thousand Years." 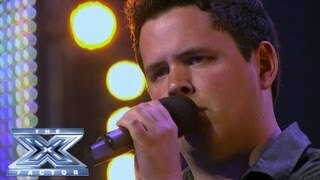 Sep 26, 2013 · "X Factor" USA continued ... 'X Factor' USA 2013 auditions: A nervous Tim Olstad wows ... Olstad delivered a memerable rendition of "A Thousand Years". Tim Olstad's Once In A Thousand Years Chance ... Tim Olstad's Once In A Thousand Years Chance - THE X FACTOR USA 2013 ... See more stories from USA. Chords for Tim Olstad's Once In "A Thousand Years" Chance - THE X FACTOR USA 2013. Play along with guitar, ukulele or piano using our intuitive playback interface.